Zambia. 2016. Kitwe. 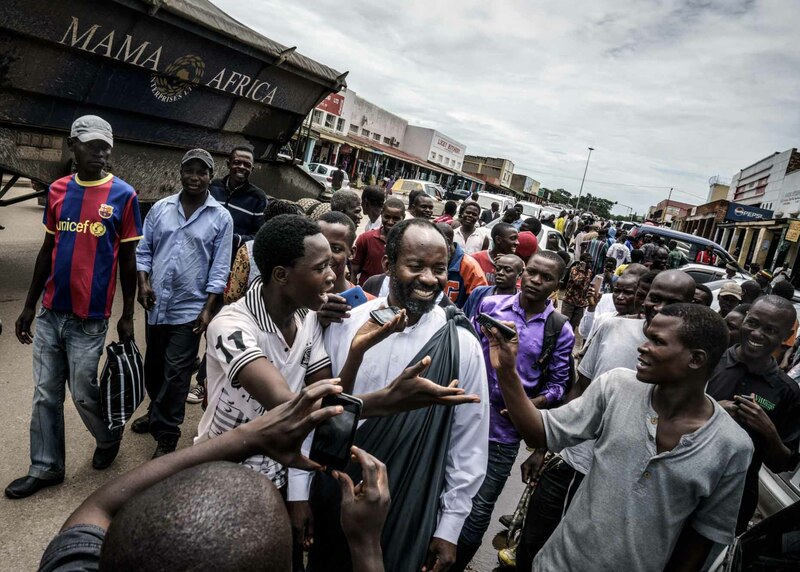 When Jesus of Kitwe hits the streets to spread his Gospel around the markets, large crowds often gather, recording his statements with their phones and asking questions.